Leveraging on the support of dexterous workforce, we are engaged in offering Beverages Sachets. 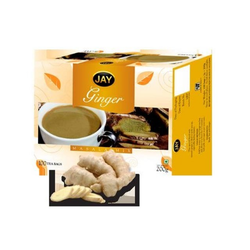 Under the offered array, we have Premix Powder, Milk Premix Powder, Lemon Tea Bags, Ginger Tea Bags and Masala Tea Bags. 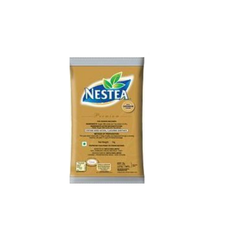 We are instrumental in bringing forth an energizing assortment of Flavored Green Tea Sachet. Hygienically processed, the range includes a perfect blend of strong antioxidants such as Polyphenols, Catechins, Flavonols, Glycosides, Carotene and Fluorides, which add on excellent medicinal & health properties to the products. 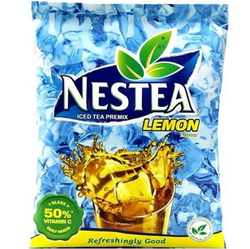 With an objective to cater to the variegated requirements of the customers, we have been able to provide the customers with commendable assortment of Nestle Lemon Tea Sachet. These are available at most affordable rates to the customers. 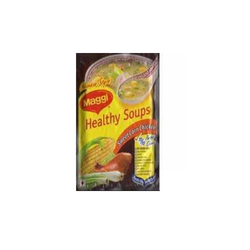 We are engaged in offering a wide range of Sweet Corn Soup Sachets, which are made by using very fine and hygienic quality raw material. Our soups are prepared using pure and fresh food ingredients. Our wide range of products is well-tested on various norms by our quality testing unit and can be availed at market leading rates.